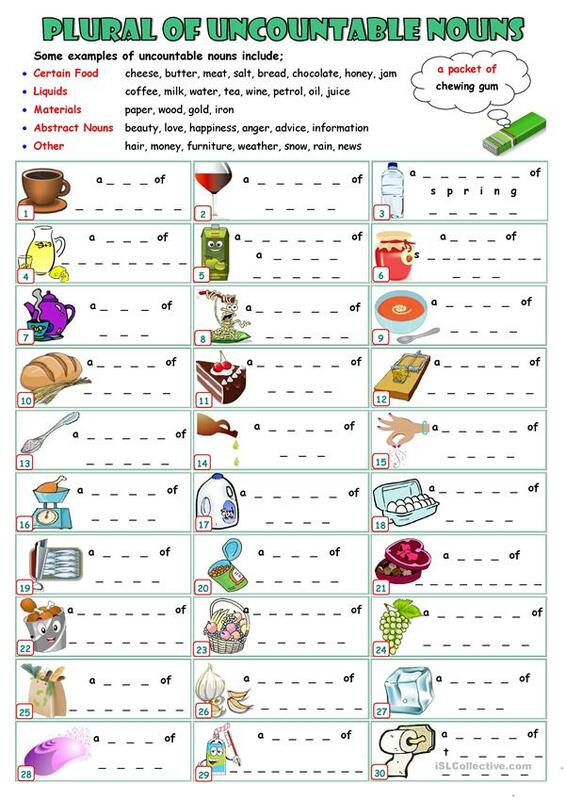 A worksheet for exercising and learning how to make the plural of the uncountable nouns as well as practicing some vocabulary items. Answers for the exercise is given. 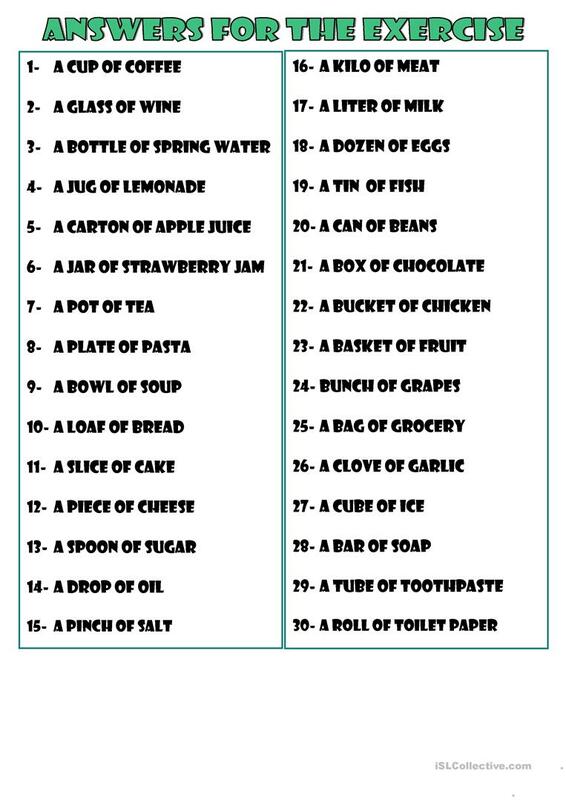 This downloadable printable was created for elementary school students at Pre-intermediate (A2) level. It is a useful material for revising Plural nouns: regular plurals with S ending in English, and can be used for enhancing your learners' Writing skills. It is focused on the theme of Food. You will find the answer key at the end of the worksheet.